Almost every commodity experiences trends, whether it is the food we eat, vitamins we take, clothes we wear, cars we buy and so on. 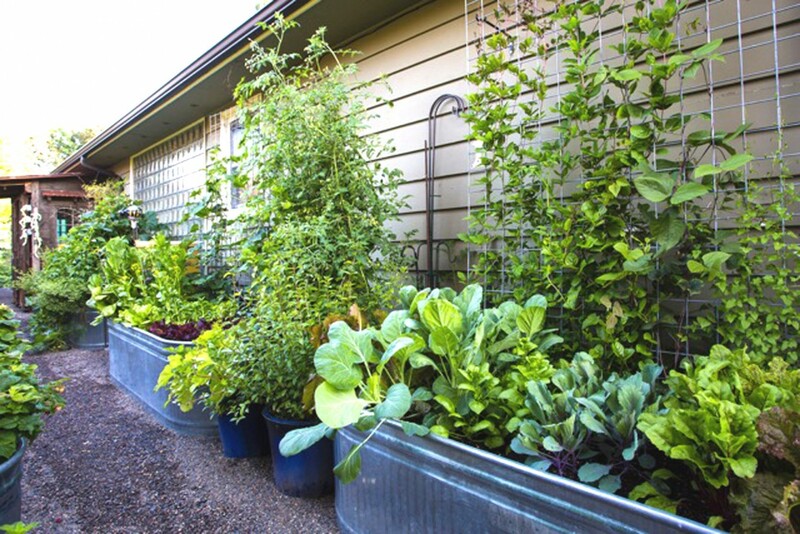 In gardening, there are changes from year to year in the types of plants that are bought, amendments and spraying practices used, and the ways we garden — in containers, raised beds, on a deck or balcony — and the list goes on. Among the gardening trends I’ve been seeing and hearing about lately, however, edible landscaping (aka “foodscaping”) leads the pack. I have seen more and more home gardeners planting vegetable gardens and mixing edible plants into what had traditionally been an ornamental flower garden, and gardeners have become quite creative in their planting of vegetables, even in relatively small spaces. The Prewitts also do a great job of incorporating edible plants into ornamental beds. The planting of blueberries in their garden is a prime example of how ornamentals and edibles can co-exist. Blueberry plants are much more than shrubs with edible berries. The creamy white flowers in the spring are quite showy, and in the fall, many blueberry plants provide an outstanding range of yellow to orange fall colors. The Prewitts had planted different cultivars to extend the picking season. A third example is the garden of Harry Olson in Salem. To make his standard city lot as efficient as possible for edibles, Harry built a series of raised beds primarily for tomatoes and peppers. To expand his palette of fruits, Harry built a series of wire frames to espalier fruit trees. He has been very successful at growing apples, pears, plums and peaches on these wires. Your local retail garden center is one of the best places to learn more about edible gardening. They can answer questions and offer suggestions about edible landscaping. You’ll also find tools, soils, fertilizers, garden twine and ties, stakes, seeds, starter plants, starter trays, mulches, row covers, garden hoses, sprinklers, protective netting, mason bee starter kits and the list goes on. Your local garden center can show you how simple edible gardening can be.